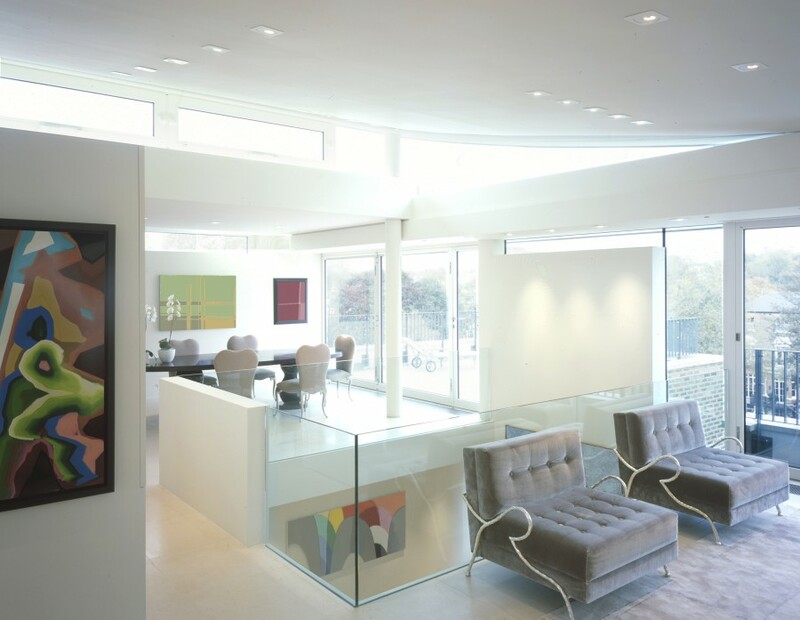 The Picture House, located above an existing block of flats in London, is a modern refurbishment and extension project undertaken for a private art collector. The brief demanded the kind of high end specification more commonly found within an art gallery. As part of a passive environmental strategy the roof form ‘peels back’ to form a high level clerestory, providing excellent natural ventilation and cooling and bringing natural daylight deep into the building. 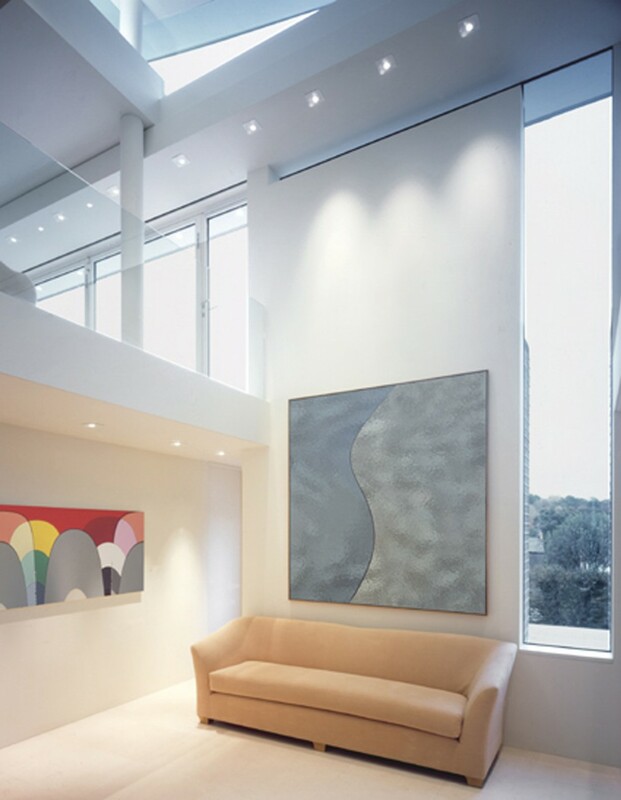 A double height void floods the lower areas with light and creates a visual connection between different levels, adding to the overall sense of space. A cantilevering stone stair links the two levels.